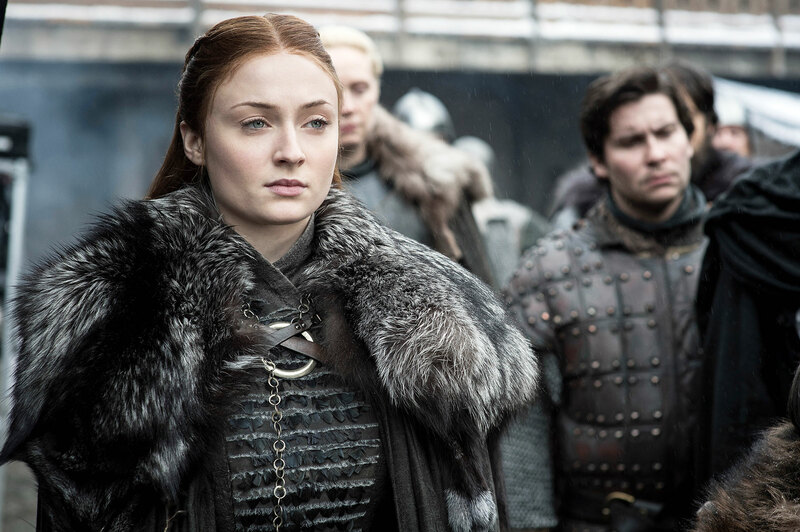 ‘Game of Thrones’ Season Premiere Recap: Guess Who’s Coming to Winterfell? It’s been nearly two years since we were last in Westeros, but the wait is finally over: Game of Thrones is back for its final season on HBO. Some will win; some will die; some will die, come back to life, win, rinse, repeat. But first, the show has to do some setting up for the epic showdown to come! Here’s the rundown from the eighth, and final, season premiere on Sunday, April 14. Only two cities appear in the title credits this time around, and soon we find out why: everyone who’s anyone is coming to Winterfell to prepare for the great war against the Night King’s undead army. Marching through the gates comes the Unsullied army, with Jon Snow (Kit Harington) and Daenerys Targaryen (Emilia Clarke) looking hot on horseback in his-and-hers furs. 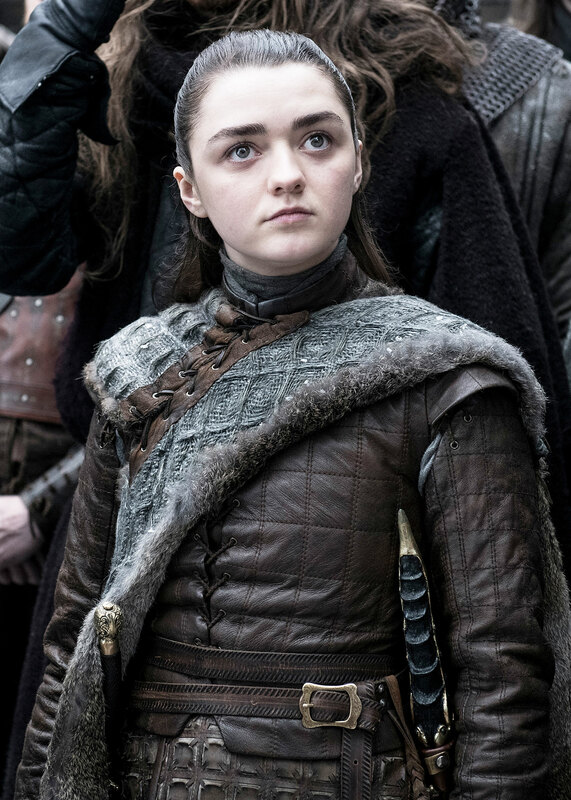 In the crowd, Arya Stark (Maisie Williams) smiles at the appearance of her brother — as well as The Hound (Rory McCann) and Gendry (Joe Dempsie). The dragons do a fly-by. The Northerners are, generally, freaked out and mistrustful of all these newcomers. Next comes the reunions, which range from touching (Jon and Arya, together at last!) to satisfying (Sophie Turner‘s Sansa and Peter Dinklage‘s Tyrion, seeing each other for the first time since their brief marriage), to super-weird, because Bran (Isaac Hempstead-Wright) is incapable of being otherwise now that he’s more mystical raven than man. Tensions abound as the armies settle in, and not just because the North dislikes outsiders. It’s going to be a hard winter with all these extra mouths to feed, and nobody is happy that Jon swore fealty to Daenerys, giving up his title of King in the North. Meanwhile, the only person not in Winterfell is Cersei (Lena Headey), who is delighted to learn that the white walkers have breached the wall in the North. Having broken her promise to send her own armies north, she waits in King’s Landing for Euron Greyjoy (Pilou Asbæk) to arrive with the Golden Company of Essos — and thanks him with an invite into her bed. This is probably because taking Euron as a lover will be a good cover story when she gives birth to yet another twincest baby in however many months, but it also gives Theon Greyjoy (Alfie Allen) a golden opportunity to raid Euron’s ships and rescue his sister Yara (Gemma Whelan), in what might be the best reunion this episode. But as the episode winds down, it looks like the honeymoon might be over for these two crazy kids. Night King’s army has advanced beyond the Wall and left a gruesome message (a pinwheel of severed limbs with a crucified wight at its center) for any men who come calling. Sam Tarley (John Bradley-West) learns that Daenerys executed his father and brother when they wouldn’t bend the knee to her, leaving him without a family. And Jon learns, to his shock, that he’s the trueborn son of Rhaegar Targaryen, which throws a big ol’ wrench into his romance with the Mother of Dragons. Not only is he Daenerys’ nephew (euugh! ), but he’s the rightful heir to the throne she wants. Things are getting messy in Westeros! And in the final moments of the premiere, one last player arrives on the scene, just to make it messier: a hooded figure dismounts from his horse in the Winterfell courtyard. He looks around: it’s Jaime Lannister (Nikolaj Coster-Waldau) — and watching him from a few yards away is Bran, also known as the kid he pushed out a window in the show’s very first episode. Most awkward reunion ever, or most awkward reunion ever?